Some people just can't leave the glory days behind. We all know the one adult who would love to relive high school. Whether they're telling stories about their younger hi jinx or still wearing their letterman jacket, that was the peak and if they could, they would go back. One man took that dream and raised the bar. 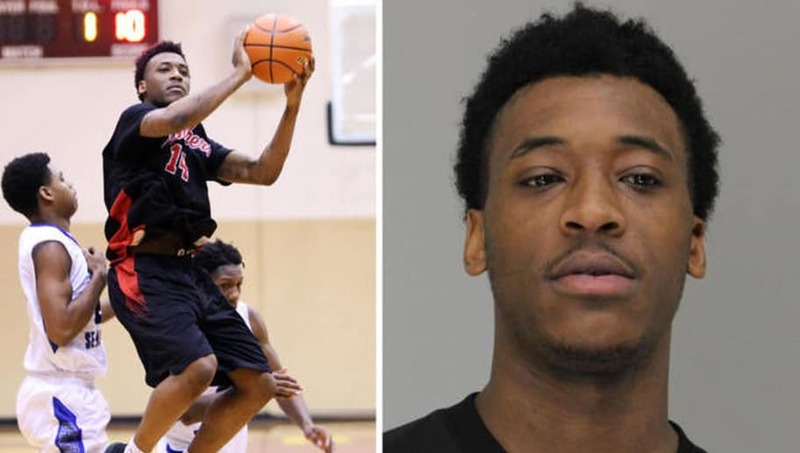 Sidney Bouvier Gilstrap-Portley, who is 25-years old, has been arrested for playing basketball at Hillcrest High School in Dallas, Texas as Rashun Richardson. ​​This is something you see out of a movie where somebody goes, "you couldn't still average 25 and 10 if you were still in high school" and the main character takes it seriously. After knowing Hillcrest High School was accepting Hurricane Harvey victims, Gilstrap-Portley saw this as an opportunity to knock the dust off his sneakers and hit the hardwood like it was 2011. He won Offensive Player of the Year for his district, and acted like Chris Bosh playing against teenagers in "Parks and Rec". ​​You have to wonder a few things that are on two different ends of the spectrum. One, how did he get away with this for so long? With the way some top prospects look coming out of high school, it may not be extremely odd, but he was actually a grown man. There had to be some telling signs. Secondly, you have to be wondering how he got caught. One of his former coaches saw him still playing, and remembered he graduated from North Mesquite High School and told officials. It's extremely creepy considering he was actually dating a student at the time, but sometimes, the hardwood just calls to you.